"Oh Yes... There Will Be Blood." The sequel to the infamous and mysterious slasher film Saw opens with an informant waking up to find a metal mask on his face. He is told via videotape that he must get the device off his head within one minute or it will kill him--and that he must cut it out from behind his right eye with a scalpel. Because he cannot bring himself to cut open his eye, he fails in opening the helmet, and his head is crushed and impaled by the giant mechanical mask. Detective Eric Matthews, who until now was retired and enjoying his desk job, investigates the crime scene, to find it is the work of Jigsaw, a killer notorious for putting his victims through a series of grueling, gruesome tests in order to save their lives. There has been only one known survivor, a young girl named Amanda. Jigsaw leads Detective Matthews to an abandoned steel mine, where he finds live videos of his newest victims, eight people all trapped in a house. All eight people are told that if they don't escape the house in time, there is a neurotoxin that will be released to stun and kill them all. There are antidotes around the house, but the clue to finding them is cryptic. As the people begin to die one by one, they slowly learn the rules of Jigsaw's number puzzle, and begin to find the antidotes. In this installation, the inner workings of a killer are revealed as Jigsaw, formally known as John, tells his story. He found out long ago that he had cancer and, after a failed suicide attempt, resolved that he would spend the rest of his life testing people he thought deserved to be taught a lesson. He gives everyone a chance to survive if they're willing to sacrifice just a little bit and feel a little pain. 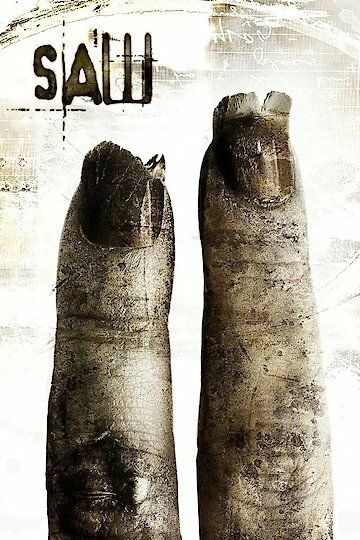 Saw II is currently available to watch and stream, download, buy on demand at Amazon Prime, Amazon, Google Play, FandangoNow, iTunes, YouTube VOD online.